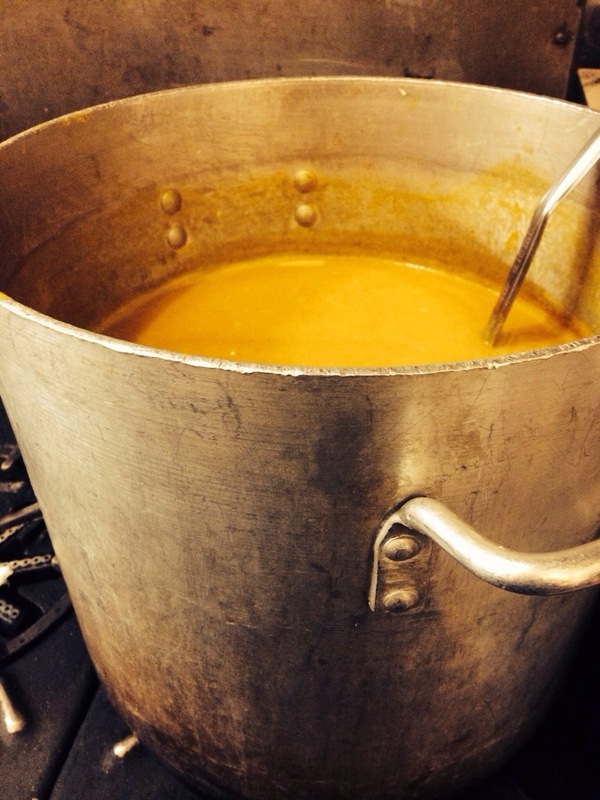 Made a typical butternut squash and pumpkin, spiced soup today at the Pourhouse. Needed something to distract me from what is typically the worst week of the year for business on the Ave. Took three butternut squash, eight onions, three cups garlic. Yes three cups. When roasted properly the garlic becomes sweet and imparts even more garlic flavor without the harshness. The trick to this soup has been something I have been doing for about five years now. When sweating off the vegetables. I will often add a little of orange juice. Again to add some sweetness. As well as using fresh ground cloves. This trick balances out the flavors and often seems to mask the onions while allowing the flavor to come through. It’s odd I know but often the best recipes have something unique in them. In fact the best food is something that at some point I have questioned adding. Using your imagination separates the cooks from the Chefs.